Not that long ago, we had to remember and type telephone numbers to reach other people. Most people also kept paper address book. Now we just click on people’s face (icon) to call them and never even worry about losing their contacts; numbers get updated automatically, we barely even see them. This is how we see the future of passwords and private keys. Human brain is not designed to hold and manage them securely, so it is only natural that passwords and keys become invisible for users. Only ease of use can guarantee mass adoption of end-to-end encrypted communications, data and value transfers. 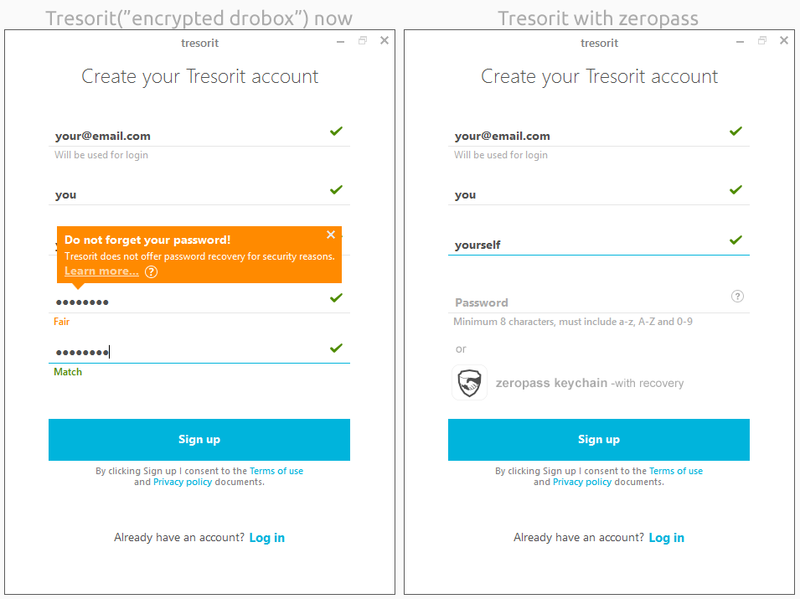 ZeroPass is user-centric layer that returns missing functionality to everyday users of encrypted services (recovery and credentials safekeeping). Decentralization is preserved and can finally spread even to non-technical people. Blockchain is a fusion of two opposites; public and private key. On the surface, there is a public side of it. It gets most of the attention, because it lays on the public ledger, that anybody can access. Under the surface, all public keys are generated from the private key, and signatures with private keys are used to authenticate them on the public ledger. Private keys are about control and we help you sustain it without adding risk. • nag you with typing master password at least once a day, even if you don't need any passwords yet. • offers password/key recovery and inheritance. 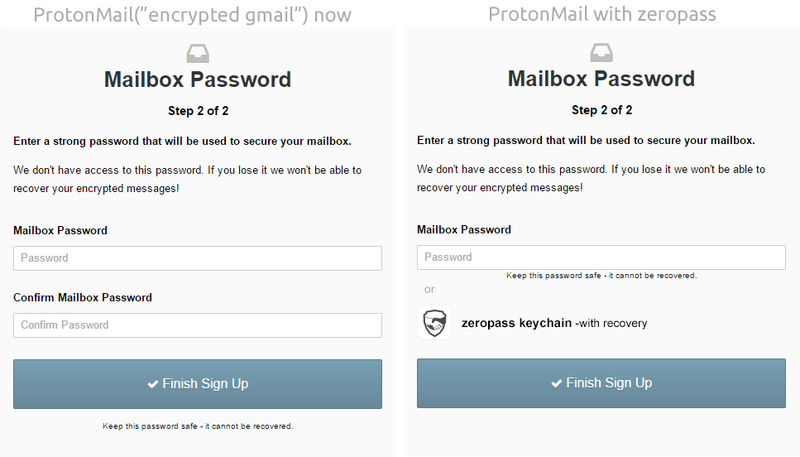 One click and your private key is securely stored (and split afterwards) in ZeroPass fashion. Services and apps that will integrate magnet link for their users, get special treatment from ZeroPass. 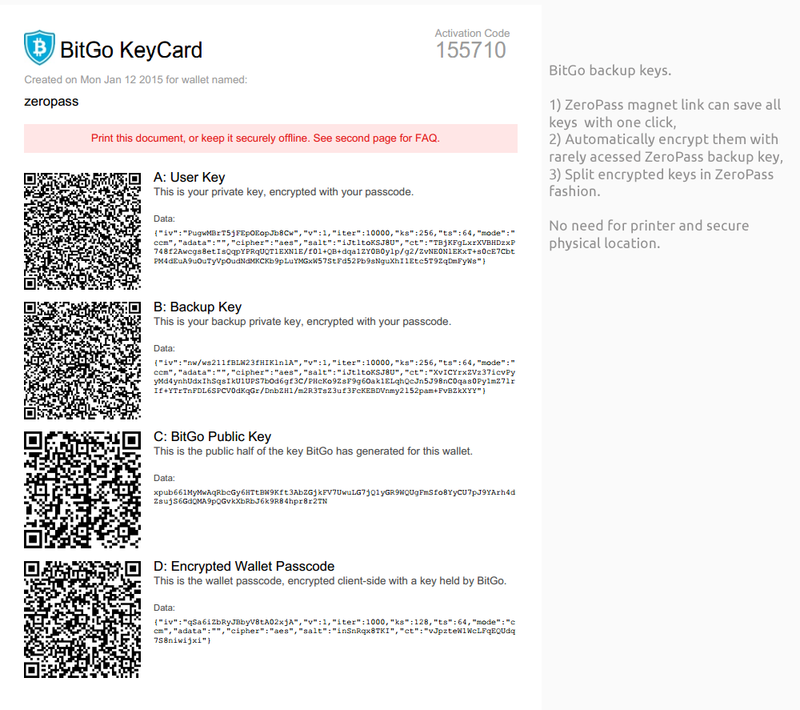 ZeroPass encourages people to invite a minimum of 3 friends to split the backup key with. It brings more humane and distributed approach to security. People always call their relatives and friends when they get locked out (of house or car) and need a new copy of key or lock replacement. Users can get a second chance through backup key reconstruction. 2 out of 3 friends need to allow and supply their piece of the key from their ZeroPass keychain. Only one click is required to approve your friend’s recovery request. ZeroPass gains opportunity for new type of self sustained growth; security referral.